Cool Hand Burg: Kiddie Pool? Why is no one in the pool? 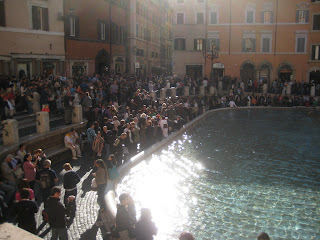 Well, it's actually the Trevi Fountain. Erik would've gotten a shot of the actual fountain, but there were roughly 10,000 idiots in the way and they all refused to move when asked. Tourists can be real jerks.